Taco Bell fans: This Nov. 2, you get a free taco and you get a free taco and you get a free taco! Are they finally celebrating Dia de los Muertos? No, that’s just a coincidence. 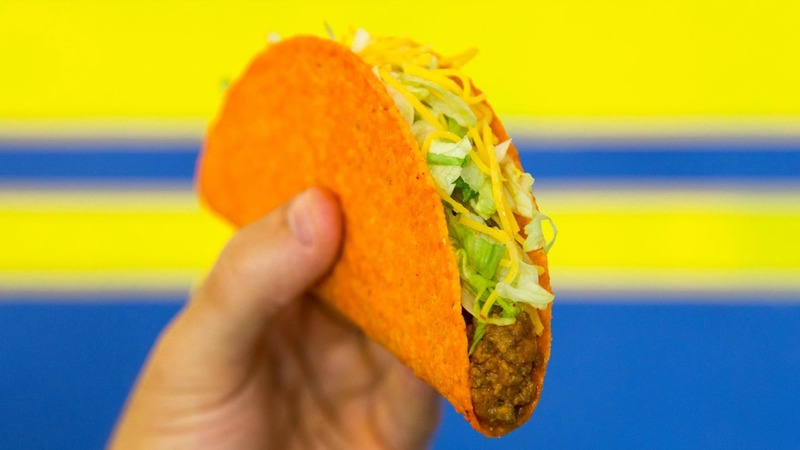 It’s part of Taco Bell’s “Steal a Base Steal a Taco” promotion, in which the first person to steal a base in the World Series wins everyone in America a free Doritos Locos taco. It’s about baseball, not your dearly departed abuelita. Unless our abuelita loved baseball, in which case it’s kinda about both. More: Can we talk about why Taco Bell is the best? Anyway, last night Francisco Lindor stole second base for America, which means Doritos Locos for everyone. Olé, Lindor. The rest of you, show up at Taco Bell on Wednesday, Nov. 2 between the hours of 2 p.m. and 6 p.m. and claim your free taco. That’s right — they don’t want you holding up the lunchtime or dinner rush with your free taco claiming. So consider this your free afternoon snack.